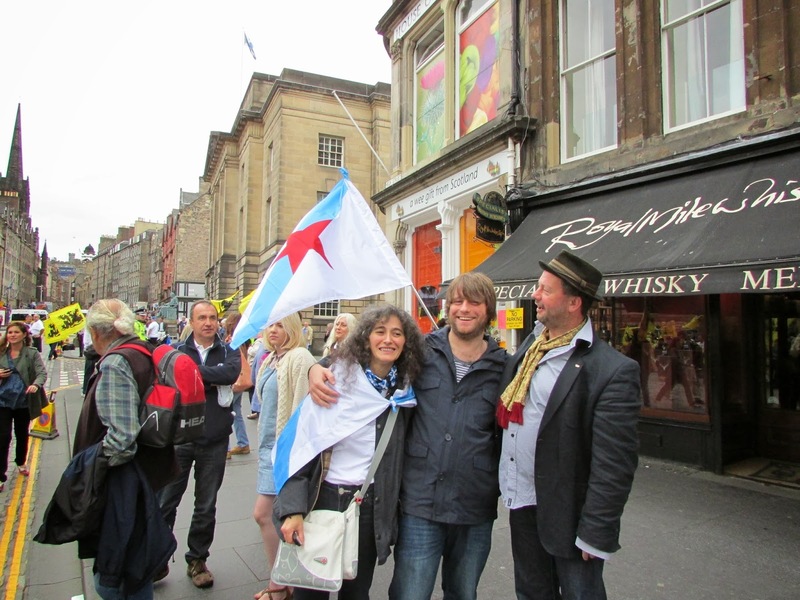 Xa van alá uns cuantos meses dende a celebración en Edimburgo da 2ª Marcha e Rally pola Independencia na que colaborando co xornal galego Sermos Galiza tivemos a oportunidade de recoller moitas opinións dos distintos sectores que conforman o Yes Scotland. Foi unha experiencia única, fabulosa. 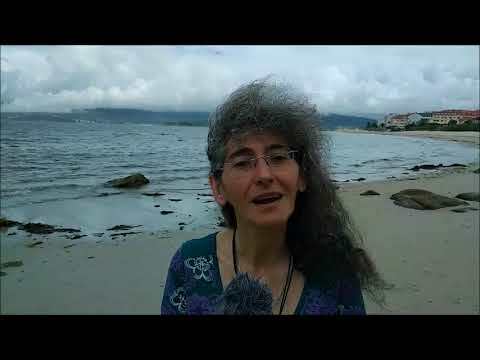 A total acollida, amabilidade e disposición de tod@s aquelas persoas ás que entrevistamos lévame a preguntarme cal é a razón da falta de cobertura e información na prensa española. Evidentemente, ao igual que nos medios británicos, non interesa informar sobre elas. É mais fácil manter as directrices que manda Madrid ou Londres e non meterse a mais historias, non vaia ser que digamos algo que non conveña. 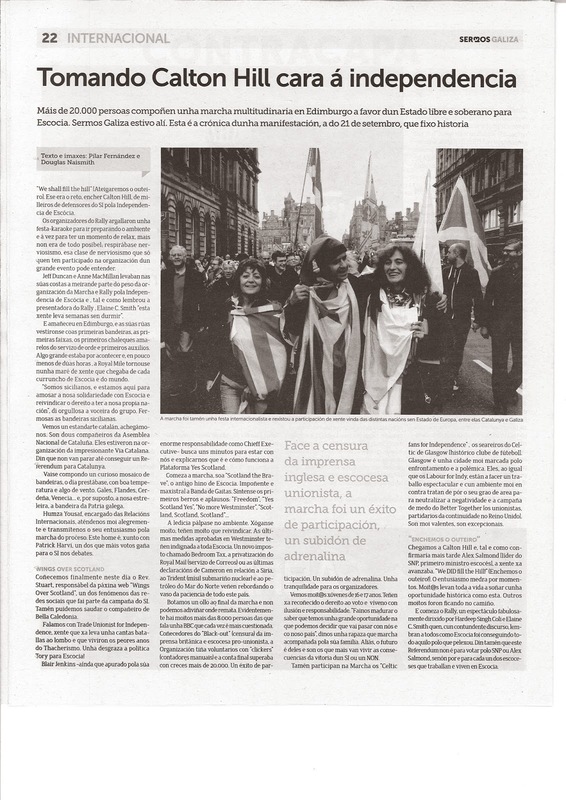 It's been a few of month since the March and Rally celebrated in Edinburgh, in which collaborating for the Galician newspaper Sermos Galiza, we had the opportunity to collect lots of views from different sectors of the Yes Scotland Campaign. That was a unique experience, fabulous. The warm welcome, kindness, and ease of interviewing everyone makes me wonder why there was not too much coverage in the Spanish media. Evidently, like the British media, they don’t like informing about it. It’s much easier to keep the slogans from Madrid or London and look elsewhere without delving into more stories. Fixádevos que de lonxe nos veñen opinións dispares como a de Tristan Garel Jones, ou a dun ao parecer “insigne” historiador Niall Fergusson que vive en Washington. Eles veñen a explicarnos o malísimos e pouco patriotas que son os separatistas escoceses e o clarísimo que está que o NON gañe o 18 de setembro. A realidade que poucos de vós sentísedes falar deles, ou sabedes quen son, e mesmo é posible que algún se trague realmente o que nos veñen a contar. Mind you, from very far we have been visited by very different "personalities” like Tristan Garel Jones, or an, apparently, “famous” historian: Iain Ferguson who lives in Washington, for example. 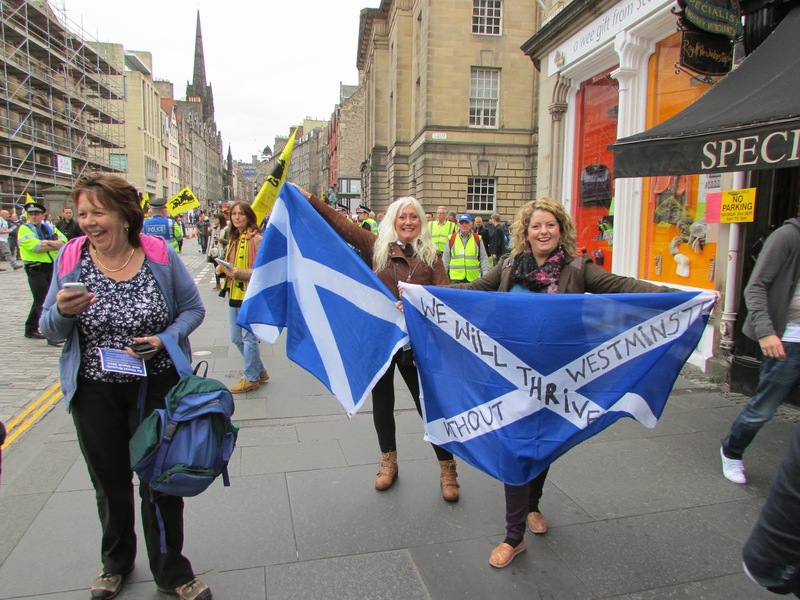 They came to explain to us how very bad and very little patriotic the Scottish separatists are and how clear it is that the NO it’s going to win on the 18th of September. Actually just a few of you have heard about them, or know who these people are, and maybe some of you would shallow what they came to tell us. Mas se por un segundo todos estes xornalistas se mesturasen coa xente, falasen con eles, escoitasen as razóns que teñen cada un deles para votar SI á independencia, daríase unha versión menos manipulada do que está a acontecer en Escocia. But, if just for a wee minute, all these journalists would mix with the people, if they would talk to them, if they listened to the reasons they have for voting YES for independence that would result in a less manipulated version of what is happening in Scotland. A todos eles lles preguntamos porqué defendían YES, a todos eles lles preguntamos qué valor lle daban á cobertura internacional e se sabían da campaña anti-independencia Better Together en España, a todos eles lles preguntamos se tiñan confianza en gañar este referendo. Todos eles nos falaron da realidade escocesa no ámbito que representaban. Podemos dicir que estivemos en contacto co mundo real... que non coincide co que Johann Lamont menciona tantas veces no Parlamento escocés. To all of them we asked why they are supporting the YES, to all of them we asked how important international coverage is and if they knew about the anti-independence Better Together Campaign in Spain, to all of them we asked if they were confident of winning the referendum. All of them told us about the Scottish reality in terms of the sectors they represented. 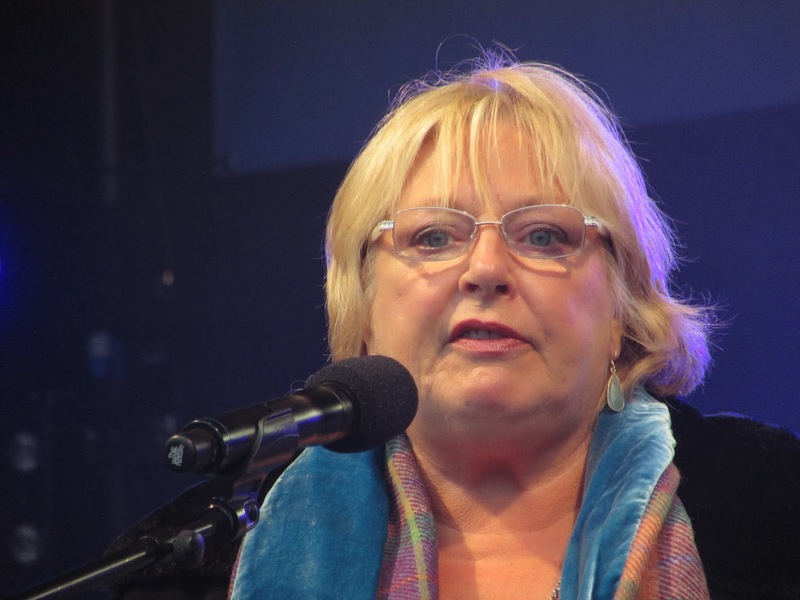 We can say that we were in contact with the real world ... that it does not match with the real world that Johann Lamont very often talks about in the Scottish Parliament. Aínda que Sermos Galiza recolleu e publicou a nosa reportaxe con moita amplitude e continua a informar puntualmente do que acontece en Escocia, o caudal de material que recollemos o meu home Douglas i eu foi enorme e inviable de publicación nun medio que ten tanto que informar no momento que nos toca vivir, mais coido que é importante que compartamos toda esta información con tod@s vós para que vexades como transcorreu esta xornada festiva e que coñezades tamén a estes grupos, organizacións e persoas independentes que traballan na construción dun mellor futuro en independencia. Dende o respecto e admiración a todos eles, ao que está en xogo en Escocia, e en honor a todos eles irei publicando as distintas entrevistas que realizamos. 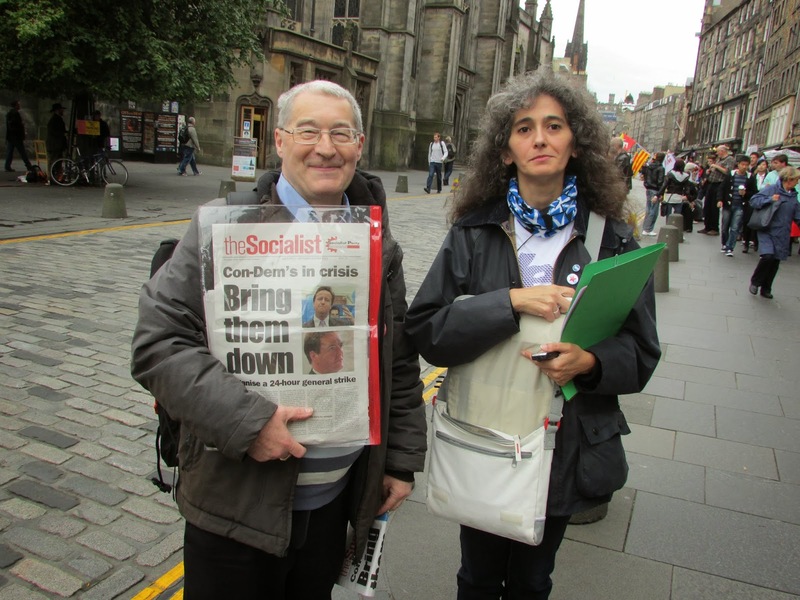 Despite Sermos Galiza publishing our report very broadly and informing about what is happening in Scotland very often, the flow of material that we, my husband Douglas and myself collected is huge and it is impossible to publish it in a very busy newspaper these days with all the information we are getting from everywhere. 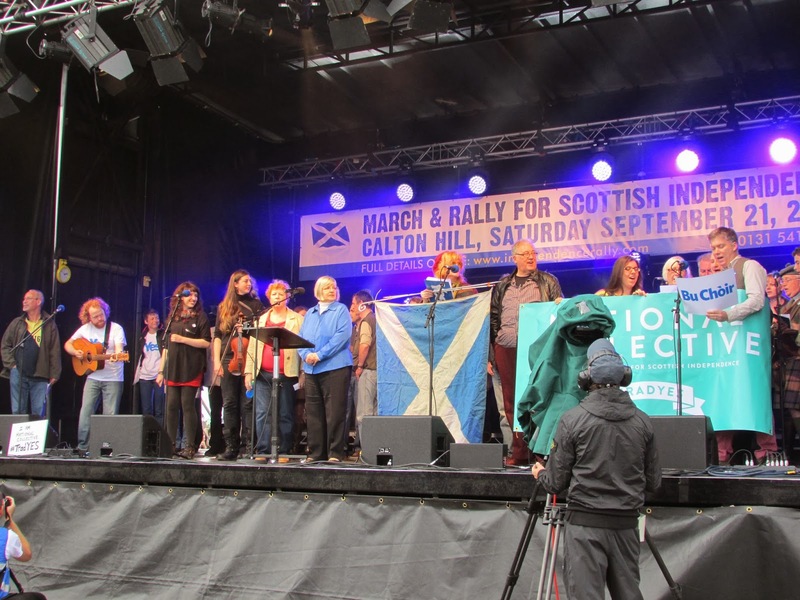 But, we thought that it is very important to share this information with all of you, and to let you know how we lived that joyful day and let you know who is who in Scottish Independence, who are these groups, organizations and people that are working for a better future with independence. 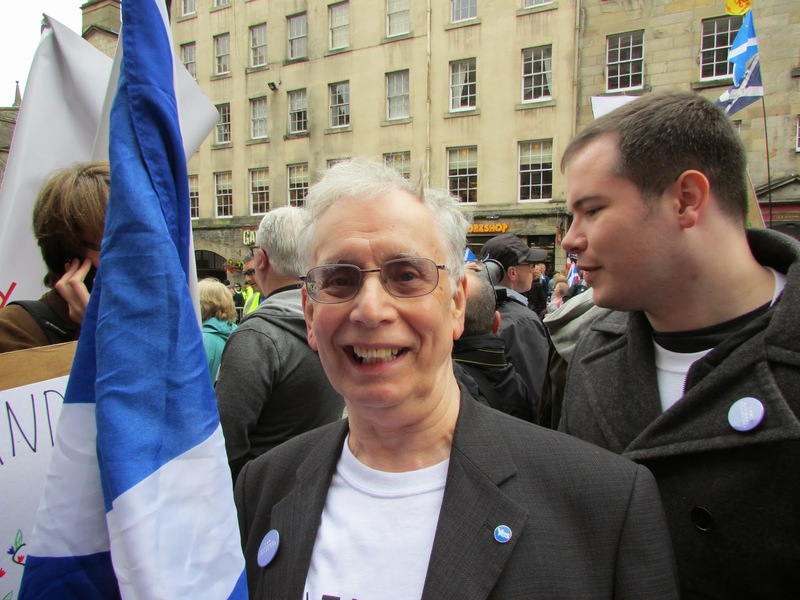 From the respect and admiration to all of them, for all that is at stake for Scotland in this process, and in honor of all of them I’m going to publish the interviews that we recorded. É por iso que irei presentando por partes neste blog cómo transcorreu a nosa andaina por Edinburgh ese 21 de Setembro, aos verdadeiros protagonistas do proceso, nada semellantes aos que La Razón, ABC, El País, e outros... nos levan presentando dende hai xa un tempiño. 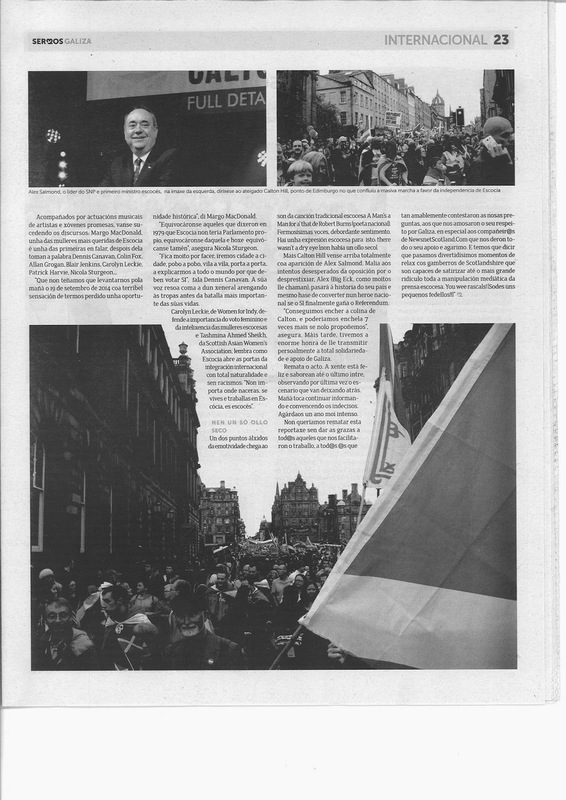 And it is for all this that I’m going to present through this blog how the Rally was, how we lived this 21st of September in Edinburgh, who the very important protagonists in Scotland are, and you will see that they have nothing to do with those that La Razón, ABC, El País, and others have introduced to us.